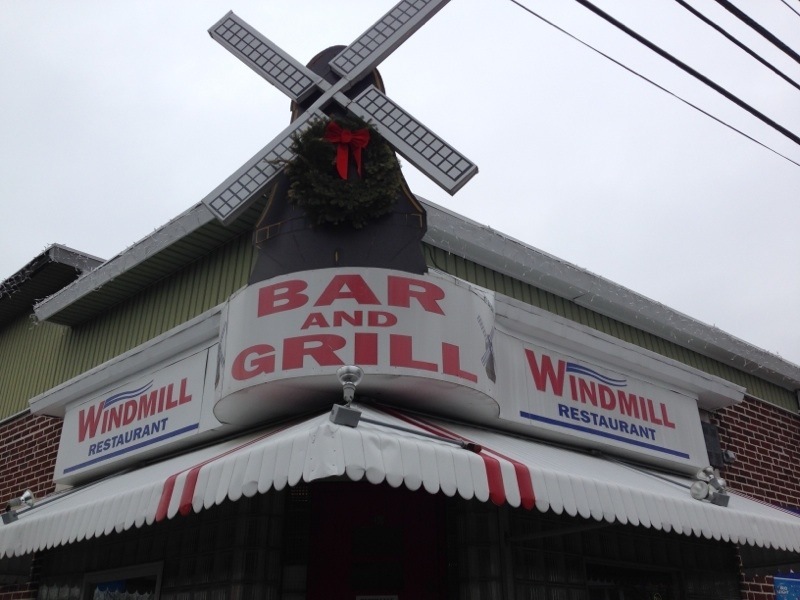 When my husband and I visited Windmill Tavern a few days ago, a dive bar in Stratford where both our grandfathers happened to frequent when they were alive, we had fun imagining that at some point over the years they might have actually known each other, maybe even had a beer and a hotdog or two together. I knew I had to try one of their famous hotdogs, and I was prepared for an amazing hotdog. I mean, they don’t call things famous unless they’re worth telling everyone about, right? 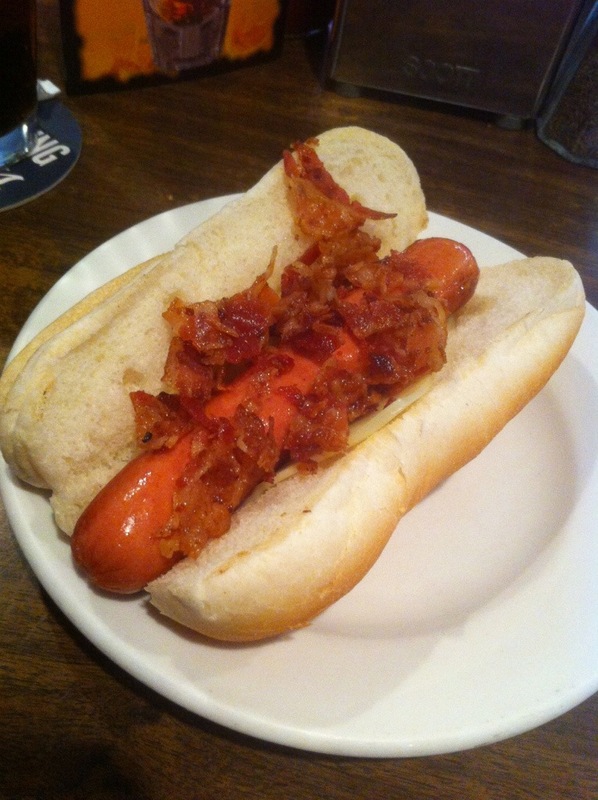 As I bit into the hummel hotdog (my favorite brand) on a Chaves’ Bakery bun made so similarly to a French Bakery roll, I instantly knew why everyone talks about Windmill hotdogs – they do live up to their famous reputation. The hotdog is grilled perfectly, the bun is soft and a little doughy and tastes so very close to the rolls French Bakery used to bake a few minutes away on Soundview Avenue, before they closed a few years ago. 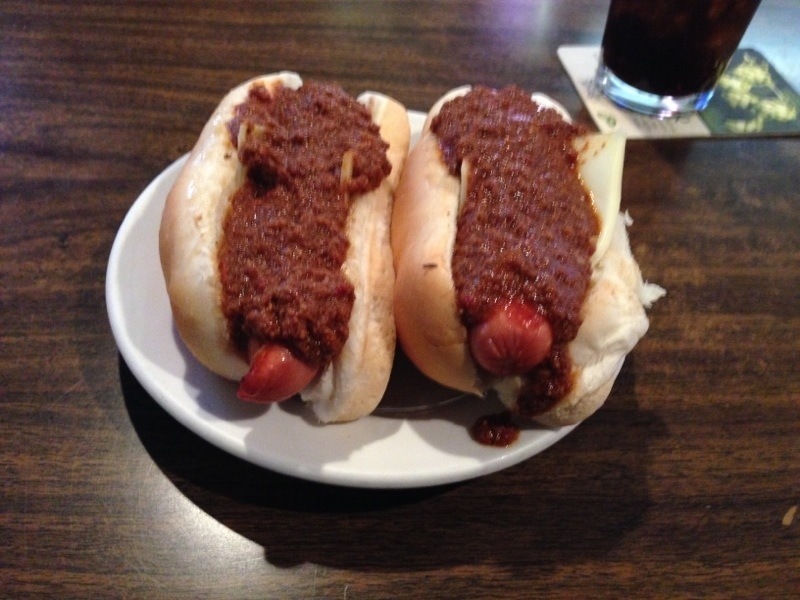 If you add Windmill chili on your dog you’ll have a true Windmill Tavern experience – the chili is a flavorful meat based chili with substance and contains an even blend of meat and tomatoes. The Windmill chili is a little sweet and a little hot – on a hotness scale of 1-10 it would come in at about a 3. My husband described the Windmill chili dog as closely resembling the famous Coney Island chili dog (I haven’t experienced a Coney Island dog yet, but now I can’t wait to try one!). What I was not prepared for when I bit into my hotdog (with bacon and cheese shown below) was the flood of memories that followed. A single bite reminded me of my childhood, of cookouts in backyards and at the beach, of the smell of French’s Bakery when you drove nearby, and most of all of my grandparents – they always loved a good hotdog and if we weren’t grilling them ourselves we were buying them from somewhere local (anyone else remember The Cricket?). That Windmill hotdog reminded me of my childhood growing up in Stratford in a way few other things can. I found myself amazed again at how food really does connect us all in ways we may not expect – my husband and I both have childhood memories of our grandfathers and their love of Windmill hotdogs. I’ve written about it before but I must say it again, the food you eat is a part of who you are as a person. I never went with my grandfather to the Windmill, I suspect it’s because I was too young to be taken to the tavern, but he always talked about their hotdogs, and now I understand why. And now I’ll be telling every one about their famous hotdogs too. I can’t wait to tell you about the pastrami ruben and porketta, but they deserve their own post and I have so many things to try on the menu…to be continued. How about you, reader? Any foods that make you feel nostalgic about your hometown?